I was supposed to be taking my dad to the mountains this weekend for a father’s day outing to catch some trout. Unfortunately, his back was still acting up (he’s 75 now, and hurt his back while trying to move a bushhog that was stuck), and he didn’t feel that he could spend a couple of days stepping over wet, slippery boulders. Probably a good decision, but I was disappointed. 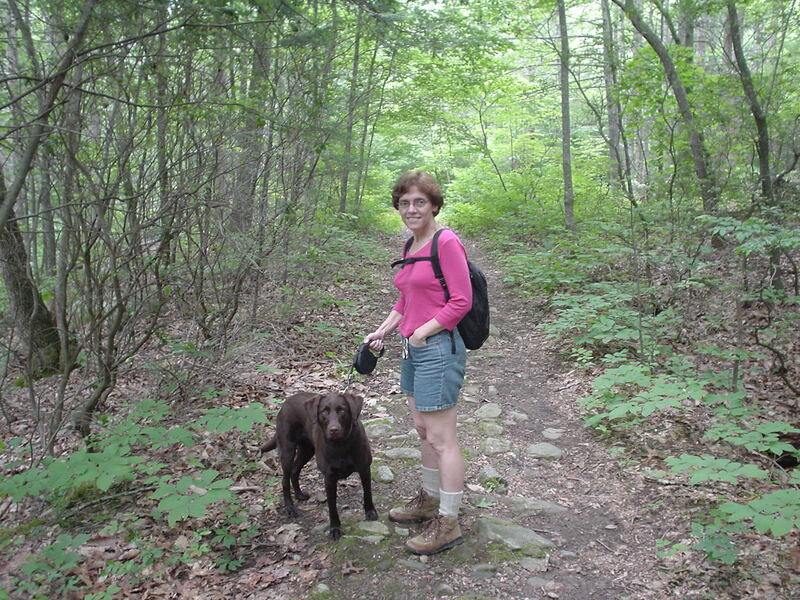 Fortunately my wife, Jan, stepped up and said that the kids could fend for themselves for the day Saturday (more on this in a bit) and she’d ride with me and take the dog and do some hiking while I fished. A offer I couldn’t refuse! We drove to Virginia to fish in the Jefferson National Forest, about 3 hours from Chapel Hill. We didn’t rush getting there, and reached the trailhead about 11:15AM. She and Lessa (the 2-year old lab) headed out. I rigged up my 00-weight Sage TXL (built by Dave Lewis) and tied on an American Express (parachute style), size 16. Soon started catching lots of bright, spunky Virginia brookies. 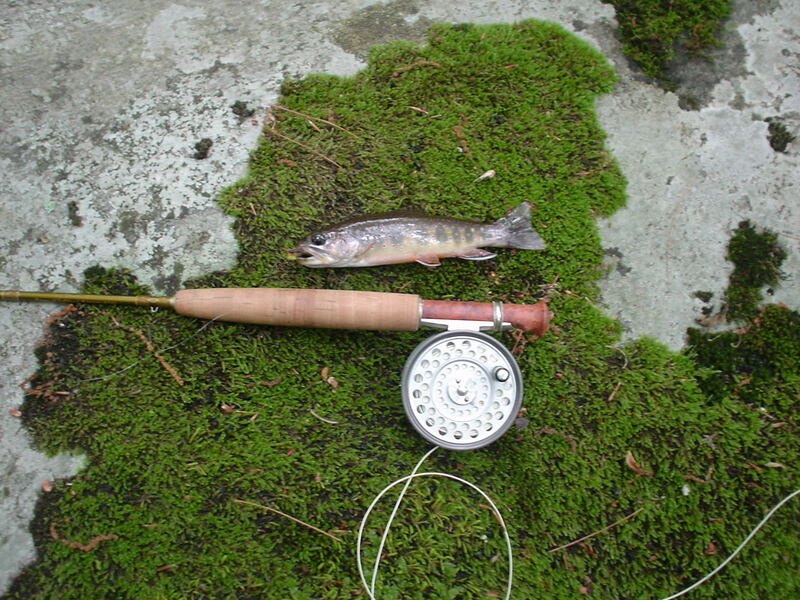 They aren’t big, but this is probably my favorite type of trout fishing. 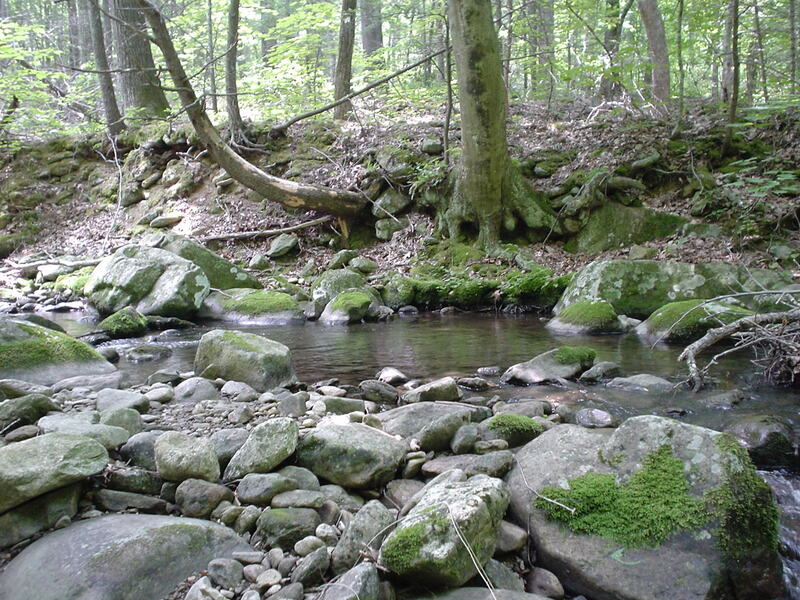 They are wary in this small stream, especially the bigger ones. Most of the ones I caught were about this size, but a few were bigger. Also caught a number of really fiesty rainbows as I went higher up the stream. Had lunch here, a couple of peanut butter & strawberry jelly sandwiches. Caught a trout in that pool, right after I finished my sandwich ;-). Probably brought 20 trout to hand and LDR’d or missed hooking that many more, but I wasn’t really counting. Saw one deer grazing through the woods, totally unaware of me, due to the noise of the water rushing over the rocks and falling into the plunge pools. In addition to the American Express, I also used an olive-bodied adams, with a hi-vis parachute post and a tail of dubbing, rather than hair or feathers. Worked well. A great day! Walked back to the truck and met my wife about 3PM. We played with the dog a bit, and then started to meander toward home. As we were driving, my cell phone rang. It was our oldest son, Jason, asking where the garlic peeler was…hmmm, we thought…we gave them money to go out to eat. However, they decided to cook. Jason fixed steak & grilled onions, he fixed fajitas for Jeff. We were most impressed! They do like garlic, though. They used 3 bulbs (bulbs, not cloves!) and the whole house smelled of garlic when we got home. No vampires in our house! 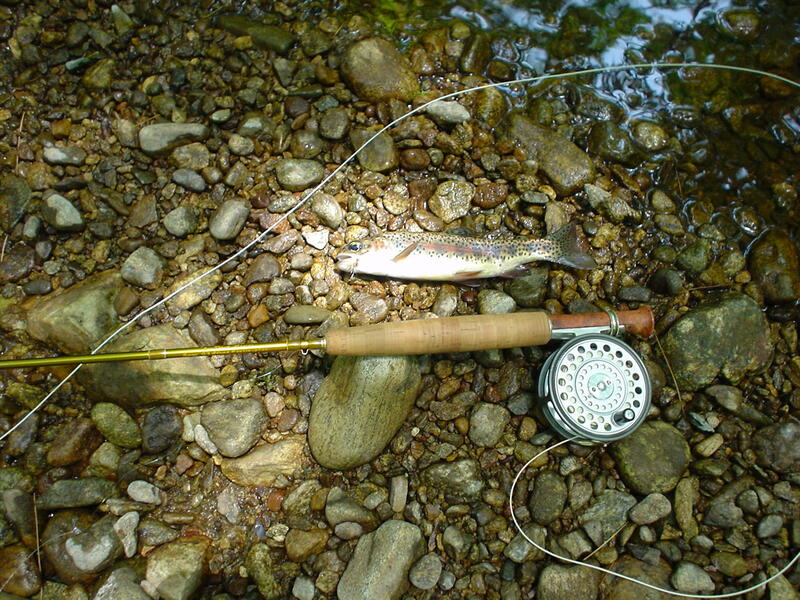 This entry was posted in Family, Flyfishing on June 17, 2007 by joel.